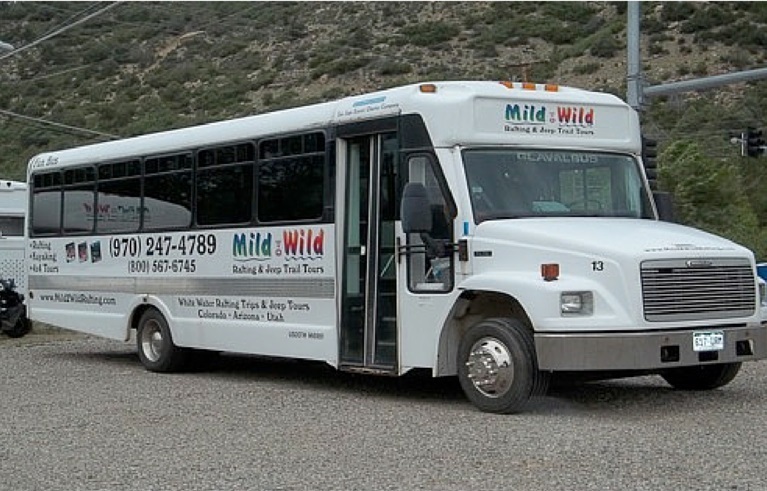 Discover the magic of our 77 Mild to Wild trip options, 2 hours to 5 days, for ages 4 to 84 in Colorado, Arizona and Utah. The beauty and serenity of the places we go inspire us to dedicate our lives to sharing these natural treasures with you! We take pride in providing a first class adventure where no detail is overlooked. Mild to Wild has earned the highest number of repeat customers & referrals (just ask the locals) and we want to give you an experience that will create memories to last a lifetime! Join us and see what you've been missing! 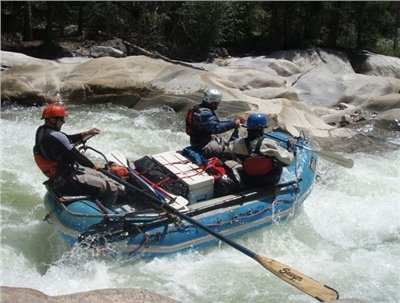 Experience the excitement of a Durango rafting adventure! With over a million dollars in improvements and additions, new thrills await you in the new Smelter whitewater park! 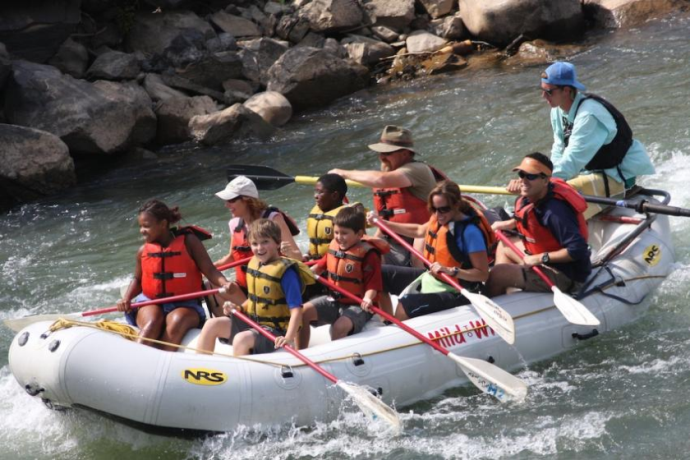 Splash through "Smelter," "Santa Rita," "Sawmill," and "Pinball" rapids as part of your Durango rafting adventure on the Animas River! This is a half day river rafting trip through town. Get a different view of Durango through the rapids, enjoy a river side snack, and absorb the scenic beauty south of town. 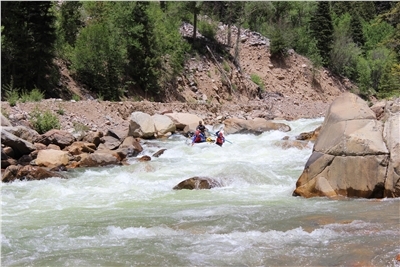 The Lower Animas is a popular river for visitors and locals, alike! Overall, a great place to be! 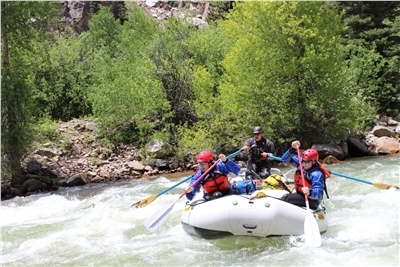 The 1/2 Day trip offers the best bang for your buck, with the 3/4 day trip giving you more time to experience Durango rafting. 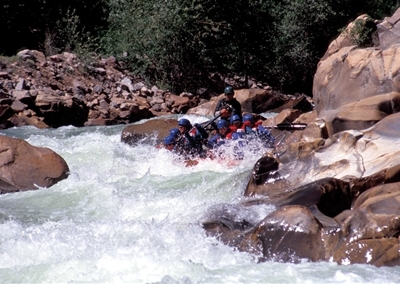 Choose the econ trip if you just want a quick taste of what rafting is like. Mesa Verde Discovery Tours are led by knowledgeable, qualified guides so that you can get the full experience! With their guidance you will learn about the history, culture, and architecture of the sites and dwellings you visit around the park. If this is your one shot at Mesa Verde, you will value this comprehensive, interpretive tour. Tour vehicles are comfortable and air conditioned. Save car entrance fees and gas, while you sit back, relax and take in all the wonderful sights and intriguing information! â€¢Sit back and relax on the scenic 30- minute drive to the Mesa Verde National Park on the old Spanish Trail Trade Routes. â€¢Our first stop is the visitor center inside the park for an introductory park orientation. â€¢Enjoy spectacular views of fascinating mountains ranges from 4 states (Colorado, Arizona, Utah, and New Mexico) on the way to Far View Ancestral Village. You will be in awe of the five preserved dwellings here which illustrate the Puebloans' amazing innovative design and engineering. 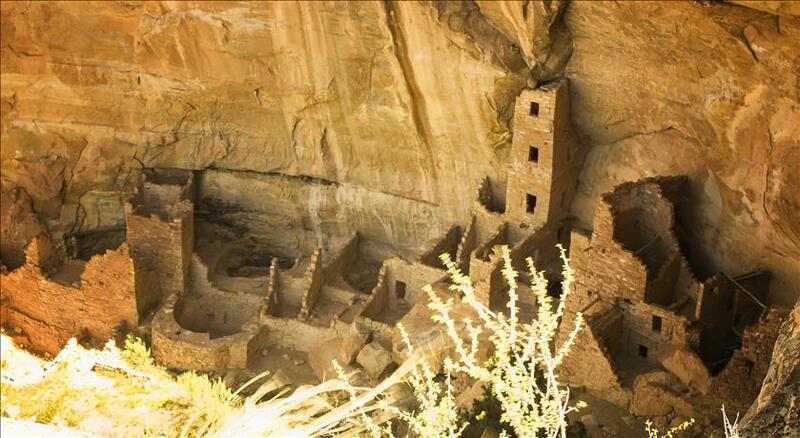 â€¢Explore Cliff Palace, the largest and most famous cliff dwelling in North America. â€¢Indulge in a delicious boxed lunch catered by our favorite bakery. â€¢Travel back in time from 500 AD to 1300 AD on the Mesa Loop and explore various archeological sites, cliff dwellings, pit house and scenic overlooks. Combine the infamous Million Dollar Sky Way and an interpretive off-road tour to Silvertonâ€™s most preserved mining towns to create the total Colorado package! Bonus: cascading waterfalls, spectacular wild flowers, and high elevation wildlife! 8:00 AM-Meet our coach bus in the Train parking lot, just west of McDonalds (parking $8/day) & check in with the driver. 10:15 AM-Explore the high country on our guided custom 4Ã—4 tour vehicles! Dress in layers. As you head up into the high country the temperature can drop and change completely. Snow is common even in July! Bring a warm jacket, warm hat, rain gear, sunscreen, sunglasses, snacks, water and of course your camera! Bring your car seats for your children. The Colorado Car Seat Law states that children up to 8 years must be in an appropriate car seat/booster seat. Kids 3 and under can ride on your lap on the train portion if you want to save the money on their train ticket. They do need a paid seat on the Jeep tour. 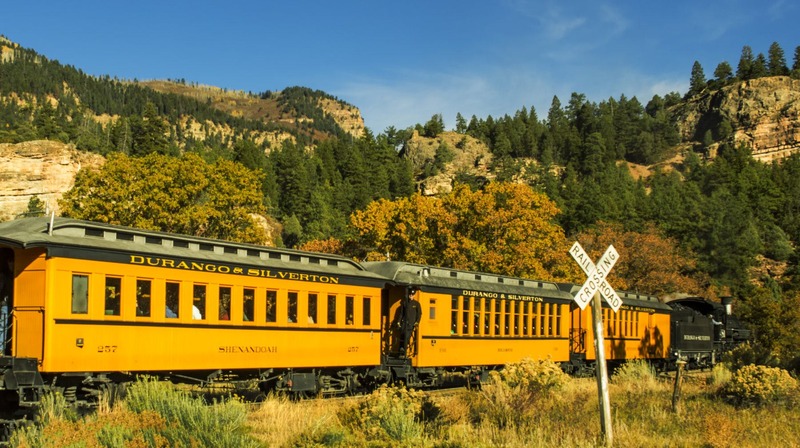 Escape to the breathtaking panoramic views of the La Plata Canyon where youâ€™ll see colorful wildflowers, towering mountain peaks, and abundant wildlife. Our afternoon tour is the perfect opportunity to view deer, marmot, and if youâ€™re lucky, moose and bear, as they emerge from the forest for evening grazing. â€¢Adventurous roads where you would not want to drive or take your own vehicle! â€¢If your child uses a car seat, please bring it along with you. Mild to Wild does not provide child seats. â€¢Children under 4 can only participate in the Jeep Trail Tour portion. â€¢Sunglasses, a hat, sunscreen and a water bottle are recommended. â€¢You are on your own for lunch, feel free to pack a snack for the mountains. â€¢Dress in layers for the Jeep Trail Tour as it can be 5-10 degrees cooler in the mountains. â€¢For all trips it is good to bring a water bottle, we donâ€™t want you to get dehydrated! Tour the awe-inspiring, beautiful Million Dollar Highway as we drive to Silverton. Along the way you will see the grandiose peaks of Grizzly Peak, Engineer Mountain, Pigeon and Turret, Spud Hills, the Twilights, and Snowdon, all before even reaching Molas Pass! At Molas Pass, a large section of the San Juan Mountains can be seen followed by Molas Lake, a high-alpine lake set against the backdrop of the San Juan Mountains. Passing through the old Victorian mining town of Silverton, established in the early 1870's, we venture off road on old jeep trails heading northeast into old, perhaps haunted, mining relics in the mountains. Meet at 1:45 PM at Columbine Park, 1227 Blair Street in Silverton, Colorado. Tour begins at 2PM and you will return to Silverton at 5:30PM. Meet at 9:45AM at Columbine Park, 1227 Blair Street in Silverton, Colorado. Tour begins at 10AM and returns to Silverton at 1:30PM. MEET AT TRAIN STATION PARKING LOT AT 8AM, LOOK FOR M2W VEHICLE. BIG WHITE FUN BUS. REQUIRED PRE-TRIP ORIENTATION the night before your trip. Please meet at the Mild to Wild office in Durango at 4:30PM, please be prompt. Dress to raft, you WILL be swimming. We will set you up in a wetsuit and neoprene boots. A bathing suit is ideal to wear under the wetsuit (we have changing rooms). Orientation will take approximately 2 hours. PLEASE NOTE: There is a $50 fee charged if you do not meet the physical requirements for this river, or if you decide after your orientation to cancel. Tour the awe-inspiring, beautiful Million Dollar Highway as you are shuttled to Silverton. Along the way you will see the grandiose peaks of Grizzly Peak, Engineer Mountain, Pigeon and Turret, Spud Hills, the Twilights, and Snowdon, all before even reaching Molas Pass! At Molas Pass, a large section of the San Juan Mountains can be seen followed by Molas Lake, a high-alpine lake set against the backdrop of the San Juan Mountains. 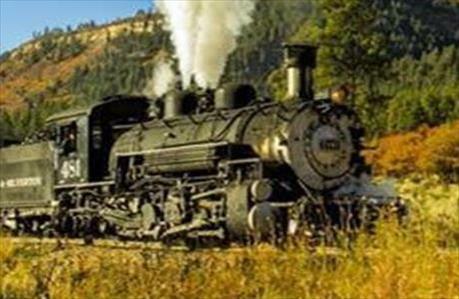 Passing through the old Victorian mining town of Silverton, established in the early 1870's, you will venture off road on old jeep trails heading northeast into old, perhaps haunted, mining relics in the mountains. You will return to Silverton early afternoon for lunch (which is not included) and a little shopping before you are shuttled back to Durango. Enjoy a scenic shuttle from Silverton to Durango at 2PM to our main office where you will depart for your Lower Animas raft trip! 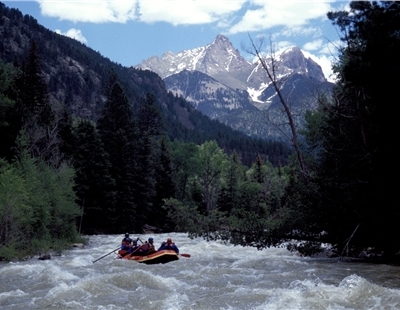 Splash through fun sampler rapids and learn about the history of the area. 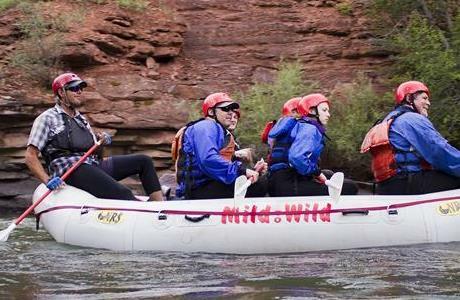 Experience REAL Colorado by discovering the fun and beauty of our rivers and mountain peaks! 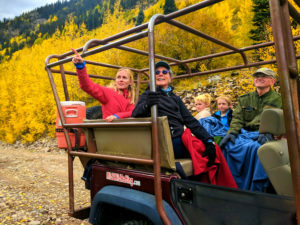 Enjoy a half-day Jeep Trail Tour in the morning through the scenic La Plata Canyon, then, an afternoon rafting trip down Durangoâ€™s Animas River. Two great trips, one super fun-filled day and at a great value! 2:45 pm- Hit the river! Standard School Bus that seats 40. Can be rented for 8 hours. Our office is located at 50 Animas Dr., which is located at the north end of Main Street in Durango. If you are coming from the downtown area or the south end of town you want to head north on Main St. You will pass City Market and 32nd St., go another 6 blocks and Animas View Dr. will be at the next stop light on your right. We are diagonally across from the Hampton Inn. You will be able to see our building and buses from Main St. If you are coming from the north, head south on highway 550 towards Durango. When you get to Durango you will pass the Iron Horse Inn on the left, continue about another 1/2 mile and you will see Animas View Dr. on the left. We are the first building once you turn onto Animas View Dr.
For directions to our other meeting locations visit our website http://mild2wildrafting.com/trip-planning/directions.html!! A reservation is recommended as soon as you decide on your desired trips. Space is limited. We accept Visa, Mastercard, Discover, to reserve your seat, guide and equipment. All trips: 85% refund with more than 14 days notice prior to departure. Train trips have an additional $14 per ticket. We require written notice by mail, e-mail or fax. Trip reservations not secured until purchased. Credit card will be charged at time of reservation. 5% Change Fee for all trips. Train Trips have an additional $6 per ticket. No changes with less than 24 hours notice prior to departure. We reserve the right to run alternative rivers/jeep trails dependent on weather and river flow. Deposit | No Deposit. Trips charged in full at time of time of or reservation. A reservation is recommended as soon as you decide on your desired trips. Space is limited. Trips depart rain or shine but we do reserve the right to cancel the trip due to inclement weather, trip minimums not being met, low water or other dangerous / hazardous conditions.